Come enjoy an evening of musical artistry by Norfolk native, Christopher Kypros, as he performs music across the spectrum, from the serene and sublime, to the sparkling and passionate. His program of solo piano works by Beethoven, Brahms, Chopin, and Ginastera will bring you solace as well as fire up your senses. 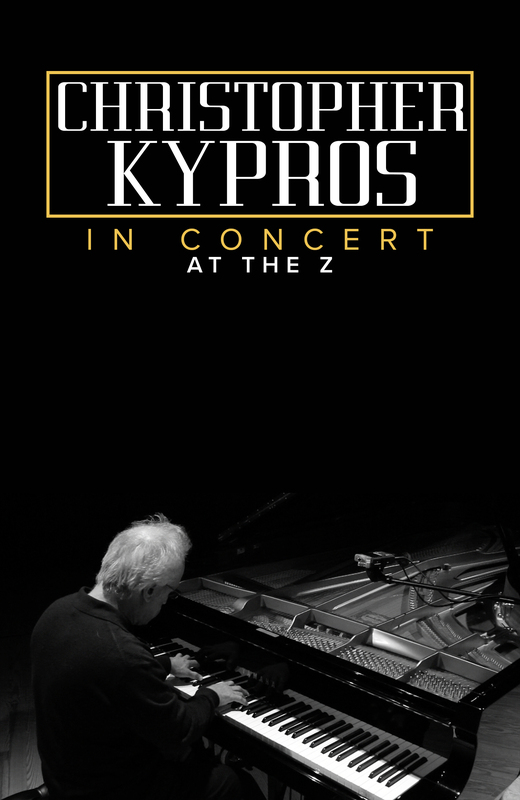 Kypros completed undergraduate studies in piano performance at ODU and graduate studies at The Juilliard School. He’s created a name for himself as a very successful music teacher from the elementary level to the college level, is an award-winning composer, choral conductor, and musical director, is celebrated for his many years of providing original piano accompaniments to silent films at Norfolk’s Naro Cinema, and rounds it all out as a stage and TV actor in Hampton Roads. Some notable appearances or accomplishments include a concert at the National Gallery of Art, soloist with the Virginia and Jacksonville Symphonies, and composer of Liturgy of Peace, Liturgy of Hope, and Liturgy of Light for the Greek Orthodox Church. He also has a children’s book coming out, Lullaby for Alana, that includes original music of the same name.